An unique custom USB that is as unique as your business. Stand out from the crowd with this recognizable custom flash drive. 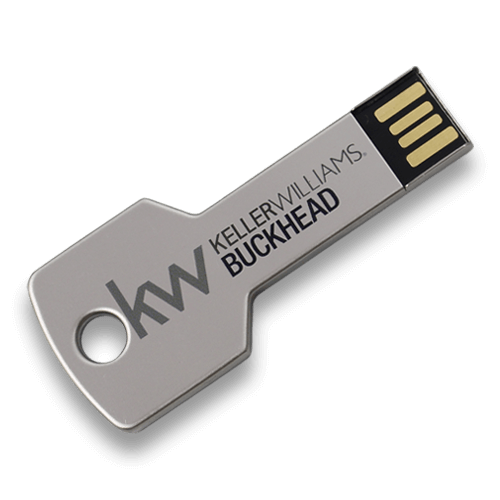 Featuring a metal shaped key that holds your company’s information, this flash drive will be the key to standing out at trade shows, customer events or any other event. The body is metal and has a print area on both sides for branding. Add a lanyard or key ring and keep your company information at the customer’s finger tips.